Erin was head hunted to join the HOF team due to her exceptional reputation as a highly skilled and on point hairdresser. Erin has already become a huge hit with her clients and is a firm favourite with the HOF family and is already making a name for herself. She consistently delivers high quality work on a daily basis. Erin takes a lot of pride in her work and always has honest consultations with her clients. Erin is one of Altrincham HOF's go to stylists now due to her knowledge, high skill set, her passion for the job has already amassed a loyal client database at the salon. Erin is always on hand to train the salons apprentices whenever she can due to her high skill set, her excellent listening and teaching skills. Erin has recently become a well respected member & trainer and was a fundamental part of the new HOF in house training & development programme. Erin is a very exciting hairdresser and we look forward to her working at HOF for many years. She already has 7 years experience now working at both HOF & previous salons. 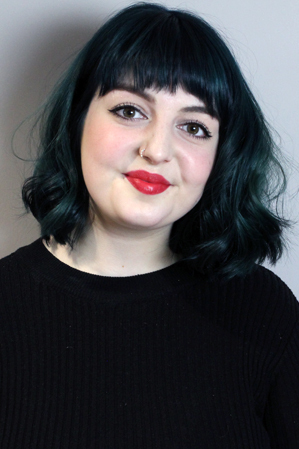 Erin especially enjoys restyling hair, creative and colour correction work. Erin is very client focused and is known for listening to her clients and paying attention to detail, which reflects in the quality of her work.